1: Go to sleep and wake up using your internal alarm clock. Easier said than done, right? The most problematic thing about this statement is what if you don’t know when your natural sleep-wake pattern is timed? Most people try and regulate a sleep-wake pattern when they want to be asleep or awake, regardless of when their bodies are telling them they should be asleep or awake. The trick here is to correlate the “want” and the “should”. First step: Work out your body clock’s natural timing. Your “biological clock” is a 24 hour cycle that regulates more than just sleep and wakefulness. It controls body temperature, balances hormones, fluids, when you are hungry and other body functions. Spend a few days understanding when your body wakes you up naturally (without an alarm), when you feel hungry, thirsty and when your body naturally wants to fall asleep. Go with the flow. Then once you have an understanding of these times if it doesn’t match your desired lifestyle, shift it, so you can perform at your best. Research has shown that with the use of light therapy you are able to shift your body clock forwards and backwards. 2: Get the perfect power nap. We have all heard that one person say, “But I have been told!.. You cannot nap in the afternoon!” This is true, if your nanna nap turns into a hibernating sleep for the winter. Sleeping too long in the afternoon mostly likely will have a negative effect on your sleep in the evening. However if you are feeling overwhelmingly tired, the best thing for you to do is have a nap and recharge, make sure it isn’t for too long though. 10 minutes has been found to be the optimal length to nap, it’s not too short, and it’s not too long, it’s just right! New devices like Thim, can be used to achieve the perfect 10-minute power nap. 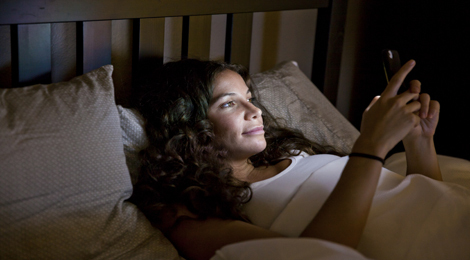 3: Avoid using electronics before bed. This is a tough one when we are now living in the day and age of everything electronic. It’s not the electronic device that is going to interfere with your sleep it’s the bright blue screen lights that are glaring us in the eyes. The blue-green wavelength of light is the type of light our body clock uses to regulate itself. Shine too much of it in your eyes before bed and your body will think it’s the morning and the sun just woke up. So don’t completely restrict yourself, be smart about it. Use apps or filters to help block out the blue light, lower the brightness on your screen and TV, sit further back, wear yellow (blue blocker) glasses and perhaps even have a dimmed yellow light glow in the room. Install dimmer lights with a yellow/warm hue, so you are not blinding yourself with bright light when you turn the light switch on in the bathroom or hall way. 4: Sticking to your bedtime routine. We understand life can get in the way and occasionally you will have to stay up later one night here or there, or wake up earlier to catch that flight. That is okay, as long as it doesn’t become a habit (unless you want it to then you might want to consider shifting your body clock to match like I mentioned in point 1). Your sleep-wake routine should roughly be the same for weekdays and weekends. If every weekend you are completely changing your sleep-wake times it is going to be harder to maintain your natural body clock. If you feel like your body clock is slipping the use of light therapy within the first half hour of waking up can help you to wake up earlier and maintain a regular sleep-wake cycle. 5: Exercise will help you sleep better. Yes it can, but most definitely don’t go pumping weights or running cross country at the gym 1 hour before bed then come home expecting to fall asleep. Your body clock regulates the time of day you feel the most energetic, this is when you should be doing those types of aerobic exercises. Consequentially providing you with better health benefits and even promote better sleep quality and even deeper sleep, according to a study by the National Sleep Foundation. If you do feel like exercising before bed, try relaxing style exercises such as yoga or stretching. Do you have any questions about the above sleeping tips? send us an email here.